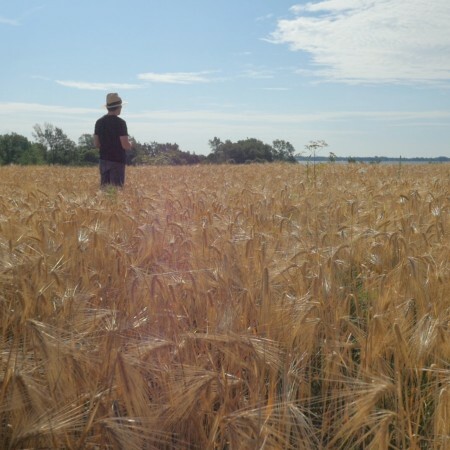 BATH, ON – MacKinnon Brothers Brewing has announced details of an upcoming beer that was brewed using ingredients 100% grown and harvested on the family farm where the brewery is located. After six years of harvesting malting barley, three seasons of hop growing, and sourcing our own water tables, we are happy to announce that our Brewmaster Daniel MacKinnon has crafted a Harvest Ale using ingredients exclusively from the MacKinnon Brothers 230 year old family farm. The first of it’s kind in Ontario, we hope this unique brew encourages beer lovers to drink local, and solidifies our commitment as Farmers and Brewers. The MacKinnon Brothers Harvest Ale was brewed last week, and will be available at the brewery retail store and select local bars and restaurants by mid-November.